We'd like thank everyone for your support in the FedEx Small Business Grant Contest. Even though we did not win, we were so touched by all the stories, we decided to "pay it forward" anyway. We choose 7 Top Tier winners and 20 Second Tier winners, and have published their stories below. See if you're on the list! 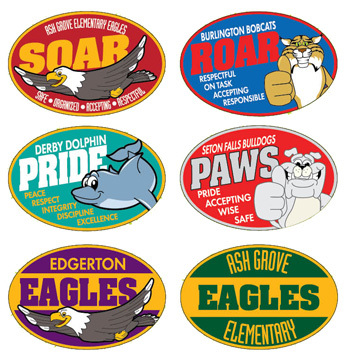 Each of the TOP TIER schools will be receiving a Welcome Banner, Standard Clip Art Set and Behavior Clip Art Set for their mascot, Award Certificate Templates (Behavior and Standard), plus our Gotcha Reward/Wallet Template Pack. 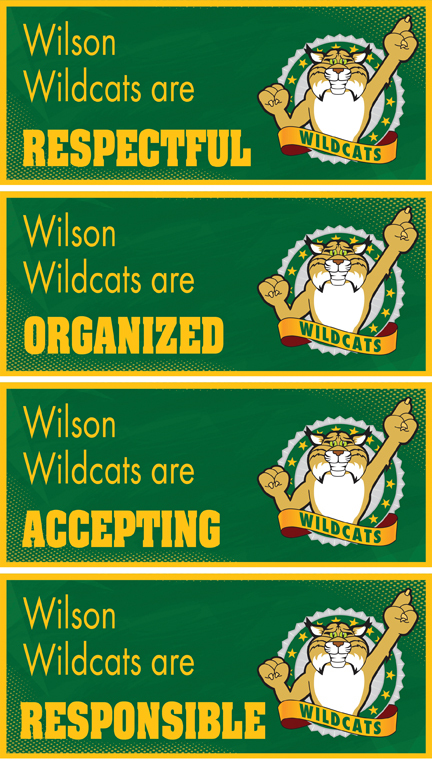 The Welcome Banner will be customized for each school, and the other products allow you to customize them yourself. The value of these products is $800. Each of the SECONDARY TIER schools will be receiving our Gotcha Reward/Wallet Template Pack. Winners will be notified by e-mail by April 15th. Watch for e-mail from info@mascotjunction.com. Bullion Primary will open in August with 594 students, with a projected growth over the next two years of 51 additional students. School and community leaders are increasingly concerned about the rates of student suspension and expulsion, and disparities by race and income. We are interested in focusing our new schools on student outcomes that go beyond test scores. The resources Mascot Junction can provide will aid in reducing negative behaviors and encouraging non-academic behaviors that are important to long-term life success. Being a brand new school, our funds are limited. We do our best to teach and model PBIS every single day. 65% of our students qualify for free / reduced lunch. PBIS is so important to our school culture and this would really make a big difference and mean to much to our school and students! Our school is a urban school with many children at risk. Our neighborhood is known for crime all around our school. We have lock downs when things are happening in the area surrounding our building. We have free breakfast and lunches because the high number of low income families. Our school has real pride and is like a family! We went through a great tragedy in 2011 when a hurricane devastated our school. We have been lucky enough to have a new one built. This brought our school community extremely close and we support each other always! We are a Title I school who is struggling with implementing PBIS. We are still in the beginning phases of it and this is our 3rd year. I feel as though if we were to have this PBIS rollout kit it would really help push us to the next level. 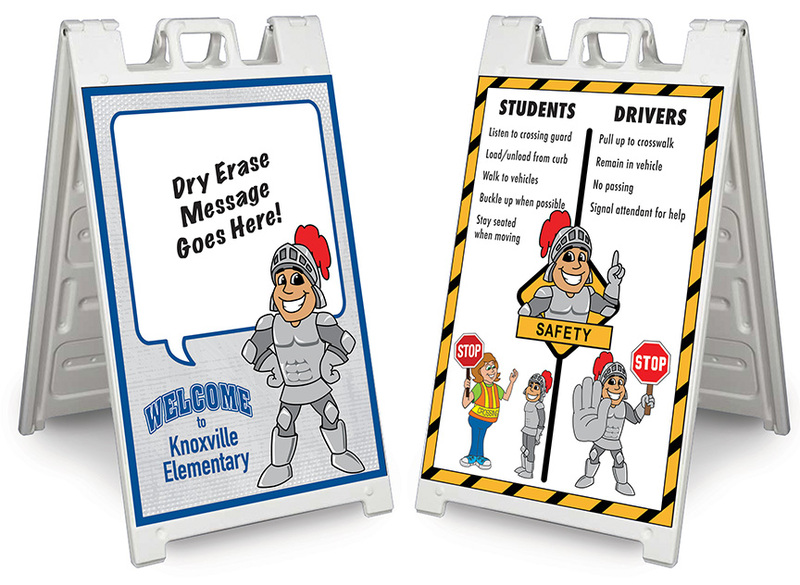 These banners and signs would be a great reminder to our students throughout the school day to follow the PBIS Rules. Unfortunately we don’t have enough funds to purchase these banners on our own. All of our extra funds go to student achievement and family and community outreach which consist of buying uniforms, shoes and other basic necessities like toothbrushes, soap and deodorant. It would mean a lot to our students to walk into a school that they could be proud of. They deserve it because they are really trying to do what’s right and follow the plain print outs of the PBIS Rules we currently have in the hallways. I am a teacher in a low-income/high poverty school. My students face challenges every day in and out of the classroom. Despite the many challenges they face, they are so excited about school. School is a safe place for them, a place where no one can hurt them, physically or emotionally. All of my students receive free breakfast and lunch because for many students, school is the only place where they will be able to eat. Although odds may be against them, they have the perseverance to succeed in school. They are some of the most resilient students and are ready to learn every day. My focus is to give them a rich learning environment with positive experiences and hope for their future. Despite so many hardships, my students are eager to learn and do their best. My school should win because they have great teachers and their staff are super nice. They make me feel like I fit in and help me through the tough times and my grades. At Locust Grove Middle School, we continue to find ways to provide positive reinforcement for doing what is right, and for making good choices. Our students become more responsible for their own actions, and the teachers are more readily acknowledging those positive traits desirable in public school. The Roll Out Kit would greatly enhance our efforts as educators. Visual cues for those who respond more readily to nonverbal means would support PBIS in our school community. Springhill Lake Elementary is located in one of the largest apartment complexes in the United States. Our free and reduced lunch percentage is approximately 88%. The neighborhood is plagued with thefts, and assaults, sometimes leading to death. Multiple families often live together in units. We often provide food at holidays, uniforms, coats, and shoes to the community. In an environment where so many negatives are stacked against them, we have become a PBIS school during the 2018-2019 school year. We are trying to expose students to a positive environment throughout the day to show them that they are not a product of their home environment. At this time we are currently trying to raise funds to obtain school hallway and classroom signs to promote this positivity. We serve a low-income population of students who all live in the surrounding neighborhood apartments. Many of their families work multiple jobs just to get by, and our school is where the children spend a bulk of their time. Winning a PBIS kit could help jump start a plan to support our students’ needs so that they can learn in a positive environment. Our dedicated staff is ready to do whatever it takes to help our students succeed. We are a high risk, at need school that relies on the PBIS program. We have severe behavior issues and these roll out kits would be a blessing to our students, staff, and community. We are in the process of rebranding our school with a new mascot and new colors. We have to replace all PBIS signage in our entire building. We are struggling to create a positive climate that generates students who are respectful and self-controlled. We are a Title I school with 65% of our students on free lunches. Our referral rate two years ago was over 300. Students are only able to solve problems. As a result of behavior issues, we are struggling academically. We are implementing PBIS next year and hope to move our D school to an A or B. Our school, located in a high-poverty area in the Northwoods of Wisconsin, consisting of about 220 young minds and 20 staff members, is eager to win a PBIS Roll Out Kit. This opportunity would allow the dynamics of PBIS to flourish in our school setting. Having a kit provided to our school would also assist in allocating additional funds towards other areas of need including additional professional development opportunities, supplemental curriculum resources for the students, additional technological items, lower field trip costs and fees for students and families, as well as provide additional family engagement opportunities for students, his or her families, and community members. A PBIS Roll Out Kit would give our school, often compared to “The Little Engine That Could”, the possibility to create a positive, welcoming, and exciting environment that is defined and consistent throughout our open concept building (there are no doors on the classrooms). Unfortunately, many of our students come to school and view it as his or her only safe and secure spot within their life. Some of our students only receive meals during the day while they are here, they lack parental support and supervision at home, and continually strive for positive adult attention and affection. 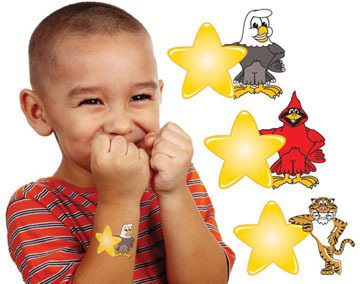 This Roll Out Kit will give the students a new outlook on positive behaviors through a clear, consistent, and invigorating perspective. This Roll Out Kit will give Gillett Elementary School the opportunity to increase our “bag of tricks” to assist students when choosing how to make decisions in a positive manner. 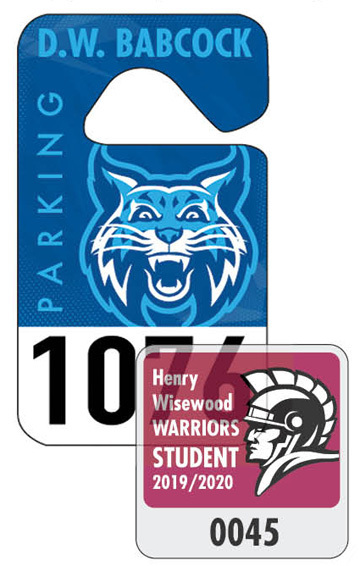 This kit will also provide students with a colorful, memorable experience while they are students at our school, whether short term, or for the duration of their education. Our students will be more likely to use these “tricks” not only in their educational future, but also when they navigate through his or her life! Ideally, the students will remember the Tiger Cub mascot and carry that picture and memory along with them through life with the ability to connect the positive experience that is brought along with it! Please consider our school for a chance to win a PBIS Roll Out Kit. Assist us in creating a brighter, more positive, energetic environment for our students, staff members, families, and community advocates. As always, remember to be safe, be respectful, be responsible, and BE PROUD TO BE A TIGER! Our school should win because we are in need of spirit. When you walk around our campus it doesn’t feel like a place of learning. The buildings are old, there is no evidence of our mascot, and very little color. Our school should win to unit our students and give them a reason to cheer. I believe a roll out full of color and school pride will do wonderful things for our socioeconomically disadvantaged students of which over half receive free or reduced lunch. Despite being in the center of a poverty stricken, high crime area our students not only succeed, but lead the district in test scores. Our behavior is top-notch. When the food bank reached out for peanut butter donations for the 72,000 people they serve, not only did our school rise to the challenge, but with less than 500 students, we collected 2,040 jars of peanut butter. Lucy Elementary School should win one of the PBIS Rollout Kits because we have recently been recognized as one of Tennessee Trauma-Informed Schools! This recognition did not come with a monetary prize, but provided us with resources to train our educators in trauma-informed practices. The culture of our school is shifting to a more student-centered environment and the Kit would be helpful in us rebranding our school with our students in mind! The SJCSD Mannsville & Wilson Elementary staff have begun our framework for a PBIS school! We’ve spent countless hours in training and have crafted our minor/major behavioral flow charts, discipline framework, lesson plans to teach voice level volume in all areas of our buildings, as well as the appropriate way to be respectful, responsible, and safe learners. We’ve sought support and input from our entire staff and are looking forward to sharing PBIS Spartan Pride with our Spartan community! We’ve begun creating videos to exemplify positive behaviors in all areas of our buildings and would love the opportunity to showcase our hard work on your amazing products! Our entire team loved the resources your company has available but unfortunately, coming from a low income district, we are unable to foot the bill. This is the beginning of our county wide PBIS rollout and our middle school has been chosen as a model school. We made our own matrix signs and banners but would love to have more around our school promoting positive behavior. We live in a low income rural area but have tremendous parental support with our newest endeavor. We would greatly appreciate a PBIS Roll Out kit. The red dragon is a symbol of pride, determination, amazement, courage, strength, and hope. The red dragon is super cool and inspires Niles students to always strive to be the best they can be, and it gives them a majestic symbol of identity. The red dragon is awesome, and it encompasses all the Niles is and aspires to be! We reach military and low income children. Our school has began implementing a PBIS program and begun to see results. We are trying to reinforce the positive behaviors instead of focusing on the negative behavior. Our school is located in District 11 in the Bronx, NY. We comprise the largest amount of Special Needs students not only in the City, but the state of NY. Hence, we have a high needs population which is not only lacking financially, but many of our students are homeless and/or live in public housing. Our school is a safe and loving space for them to learn not only the 3 Rs, but leadership skills and the value of community. We are also a generational school, where many of our student’s parents have attended the school, so there is a real sense of family here. Having this program implemented in our building would help strength the bond we have with our children, give me more direction and acknowledge those that follow the PS 111 way. We are in the initial phase of rolling out PBIS in our district. Our building was selected to be the roll out building. About 56% of our students are economically disadvantaged. However, whenever we raise money for the food bank or for pennies for patients, my students always find a way to give. It would be nice for them to be able to get something like this in return for all they do for others. We just rolled out a positive behavior program this year. We are not funded by our school district so everything we are using is coming from our own pockets. It would be great to have posers, sayings, reminders around the school to remind students of our positive behaviors. We would also like to put them on our buses and in the bathrooms, cafe, etc. We do not have the funds to implement the PBIS model as designed. Our school district is struggling financially and is unable to fund this initiative. Our students need this type of behavior intervention. Our population consists of 98% economically disadvantaged and 78% Limited English proficient. Our school has spent countless hours creating our own materials and while they are informative, they are not visually appealing or as kid friendly as your products. We are a Title 1 School and are in our 4th year of PBIS implementation. These Roll Out Kit would help our school year start off right and take our PBIS framework to the next level. Our school should win because we are in a low income district and struggle to get the funding needed to keep our PBIS program up and running. We desperately need programs such as PBIS to keep all of our discipline efforts in a positive light. Students respond better when they are reminded to review our expectations rather then scolded for what they have done inappropriately. Our school is located in Roselle, New Jersey. Our entire district is a Title One district. We are a low income district with the majority of our monies going towards academic resources. PBIS is important, but often times gets the back burner. Your help would be greatly appreciated. Our school needs a PBIS makeover! Our Title 1 school serves approximately 675 students with 100% free and reduced (USDA grant). Our student demographic majority is 65% EL and a majority of students in poverty. We have experienced an increase in severe behavior issues and aren’t working to implement numerous individualized behavior plans. Our school partners with several outside agencies and community resources to assist families. We would love to implement these resources in our school. We are title 1, one of the lowest performing schools in CA. We need to turn our school around. This would really help us.